The new FORST 1857 embraces 150 years of history, tradition and the highest quality of the Forst brewery products. It's a kind of beer "all-round", created and produced to celebrate the 150th anniversary of the Forst Brewery. The FORST 1857 is extremely elegant with its green bottle and its refined gold label. It has a fresh taste of light malt and notes of bitter flavor, comes the best Bohemian hops; this beer leaves a pleasant aftertaste that induces to drink it again. The FORST 1857 is designed to satisfy the tastes of a wide variety of beer drinkers who appreciate quality and elegance. 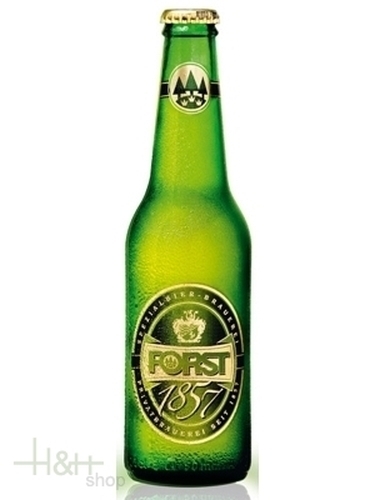 The FORST 1857 is a beer for every day and every occasion: just taste it!